Deulofeu’s 104th-minute winner completed the Hornets’ comeback after they recovered from going 2-0 down with 11 minutes left to claim a remarkable 3-2 extra-time victory over Wolves at Wembley on Sunday. The Spaniard’s wonderful chip had kick-started the fightback before Troy Deeney’s injury-time penalty – after the striker was tripped by Leander Dendoncker – brought Watford level in the most dramatic of fashions. “I think Gerard was angry when we started to play,” Gracia said. “I like to see the players this way, when they’ve felt angry, to show what they are able to do. “We knew when we started with other players Gerard would be important, I knew it. What I didn’t know was that when we started to play we were losing 2-0. Goals from Matt Doherty and Raul Jimenez had put Wolves in total control and on the brink of their first FA Cup final in 59 years. Doherty’s 36th-minute header opened the scoring and Jimenez’s close-range finish just after the hour mark doubled their lead, but they had no answer as Watford hauled themselves back into the contest. 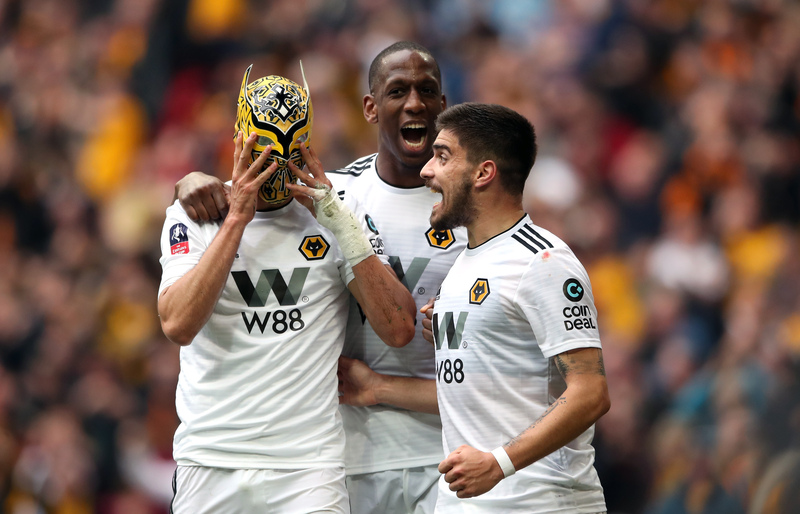 Jimenez celebrated by pulling on a wrestling-style mask, an act which drew a bruising response from Deeney after the match. “He’s a top, top player. It was a great finish, but I didn’t see the mask thing. I’m quite happy I only saw it now because I probably would have lost my head if I saw that. Wolves boss Nuno Espirito Santo admitted his side blew their chance. He said: “It’s a tough moment of real pain and disappointment. “It’s pain and silence (in the dressing room) of course. All that we’ve done, the tough times we have had to reach Wembley, now it’s over. We face it as a group. “Every challenge we have it’s up to us to work on it. Even though we are in real pain, we are conscious we should have done better.